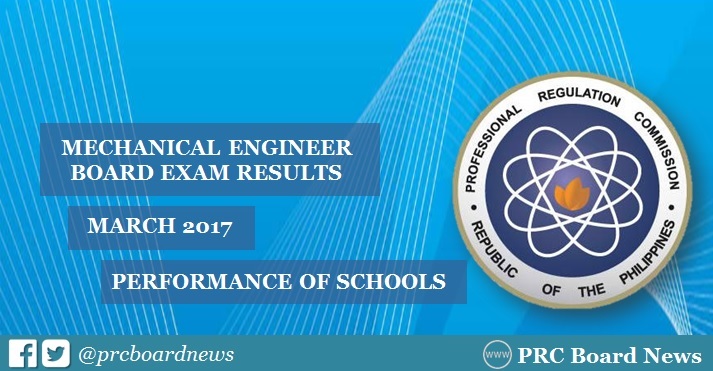 The Professional Regulation Commission (PRC) and the Board of Mechanical Engineering released results of March 2017 Mechanical Engineer ME board exam on Wednesday, March 22 or in 3 working days after the exam. PRC administered the licensure exam on March 18 and 19 in the cities of Manila and Cebu. In the same period last year, Batangas State University (BatSU) dominated the licensure exam with 96.72% or 59 out of 61 successfully hurdled the test. In March 2015, BatSU got 100% passing rate with all 84 examinees passed. Meanwhile, University of the Philippines (UP) - Diliman topped September 2015 and 2016 examinations. Do you think BatSU will continue its dominance in the Mechanical Engineer board exam?